Take a look at the best beaches in Cadiz, and find the one you love the most. It may be a difficult task, but someone has to do it! To choose only 10 of the best beaches in Cadiz has been a hard work since Cadiz impresses with some of Spain’s most fabulous beaches. 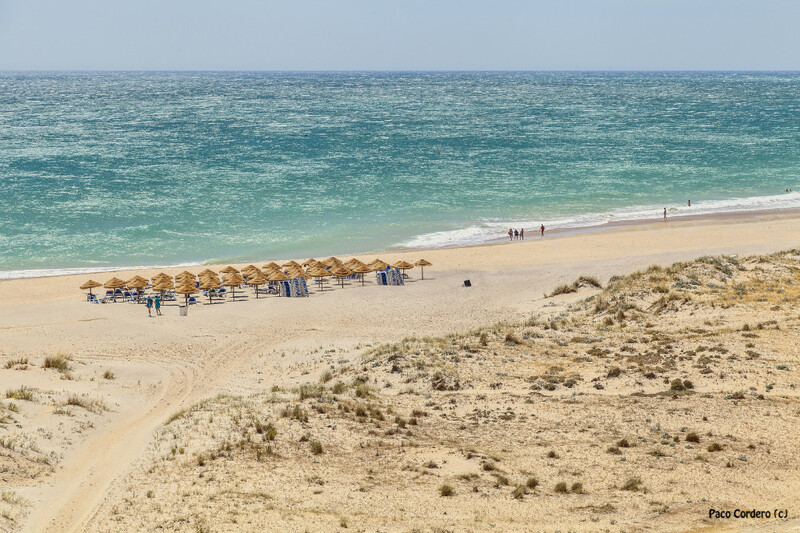 The Costa de la Luz is located in the South of the region of Andalucia, and it extends from the mouth of the river Guadiana to the city of Tarifa, therefore including both the province of Cadiz and Huelva. It has become famous for its breathtaking beaches, where natives and tourists from all over the world enjoy spending their holidays. 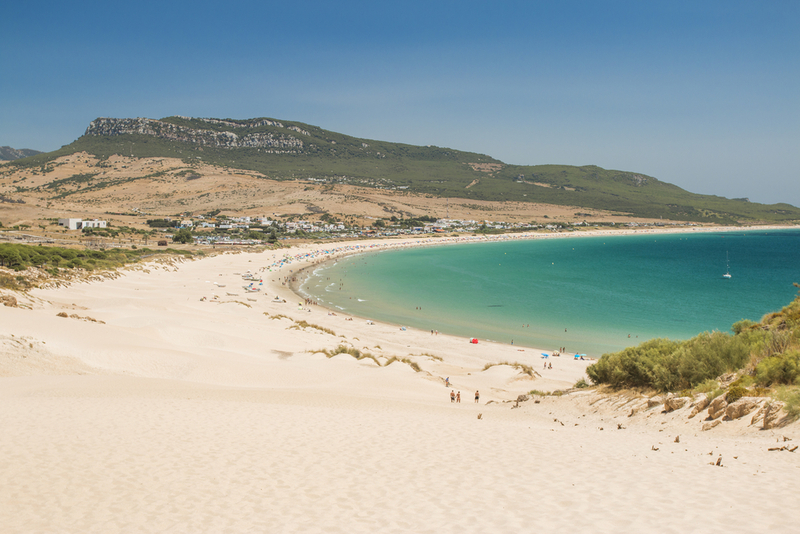 This almost-4-km long beach finds itself 17km-far from the city of Tarifa, Spain’s most southern city, in El Estrecho Natural Park. The idyllic, semi-unspoiled, almost wild beach is a true heaven for the windsurf lovers, thanks to the wind that blows constantly, and for the nudists, who can spend the day in the secluded area of El Chorrito. In spite of not being much urbanised, you can enjoy excellent quality fish and meat at one of the few nearby restaurants. 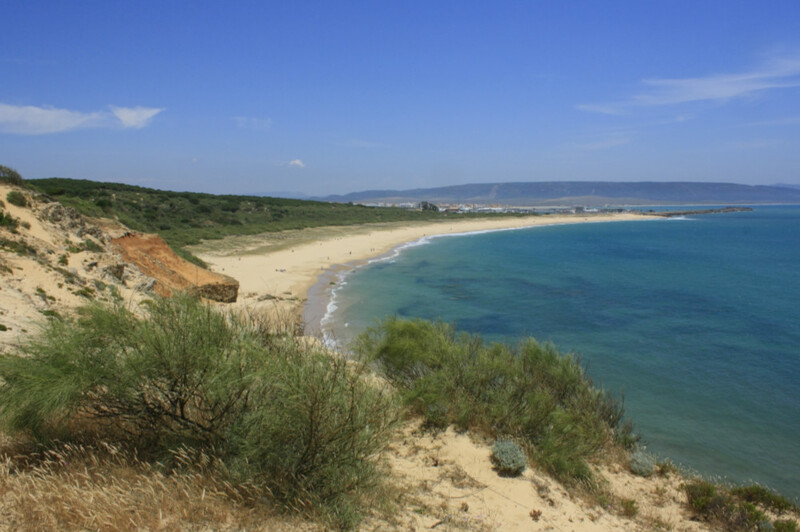 The beach’s most famous landmark is the Duna de Bolonia, a 30-metres-high dune, which was declared Natural Monument in 2001. Situated on the west side of the beach, it gives you the opportunity to do some sport. You will be rewarded by breathtaking views once you get to the top, where, on very sunny days, you can even spot the African coast. Moreover, you can jump in the past by visiting the ruins of Baelo Claudia, a very well preserved Roman town discovered in the 1970s. The beach is renowned for the blue, limpid and cold waters, the white sand and the majestic dunes. These features have converted it into one of southern Spain’s most famous beaches, so much that it was the runner-up in the Travellers’ Choice Playas of TripAdvisor (the winner was Les Illets in Formentera, Balearic Islands). Last but not least, when at this beach, you can enjoy a spa treatment, thanks to the green mud typical of this area. The perfect destination for your well-deserved holidays! Despite being a very small, but picturesque town in the South of the province of Cadiz, Zahara de los Atunes is one of the most important towns in Andalucia, thanks to coastal tourism, the mild climate and its quiet, unspoilt beaches. From the town’s 8km-long beach, you can relish breathtaking sunsets, as well as the view of the African Continent, while doing the most popular watersports, such as windsurfing and scuba diving, and relax in some lovely accommodations. The beach is equipped with lively chiringuitos (typical Spanish restaurants on the beach) and bars, where you can help yourself with copas during summer. In winter, enjoy yourself in a more quiet and idyllic spot. 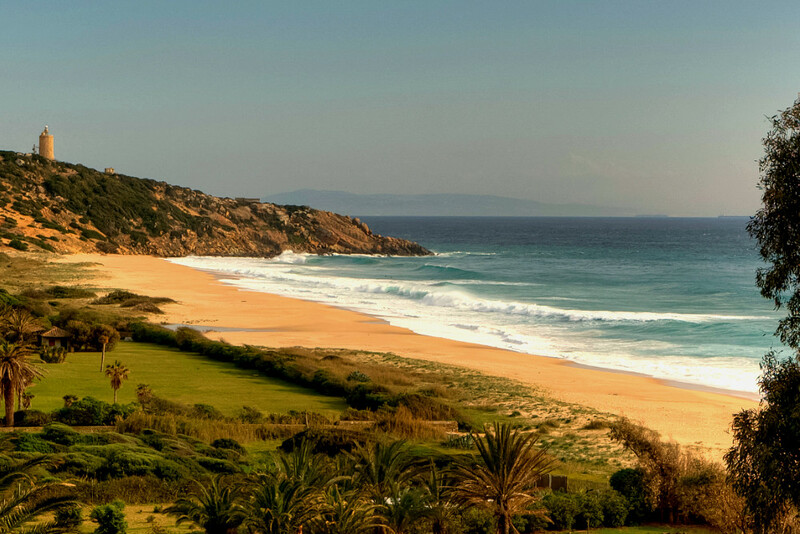 This beach is part of the bigger beach of Zahara de los Atunes. It is located on the side of a mountain, thus being an excellent spot for when the Levant blows without interruption. The natural surrounding makes it difficult to reach this area, and without facilities, it may seem that this beach isn’t worthy of seeing. However, its peculiar pools between sharp rocks and its natural breakwater (called “the bunker nest”) build a highly romantic cove. As a curiosity, this beach owes its name to the German soldiers that would use this bay as a supply of materials during WWII. 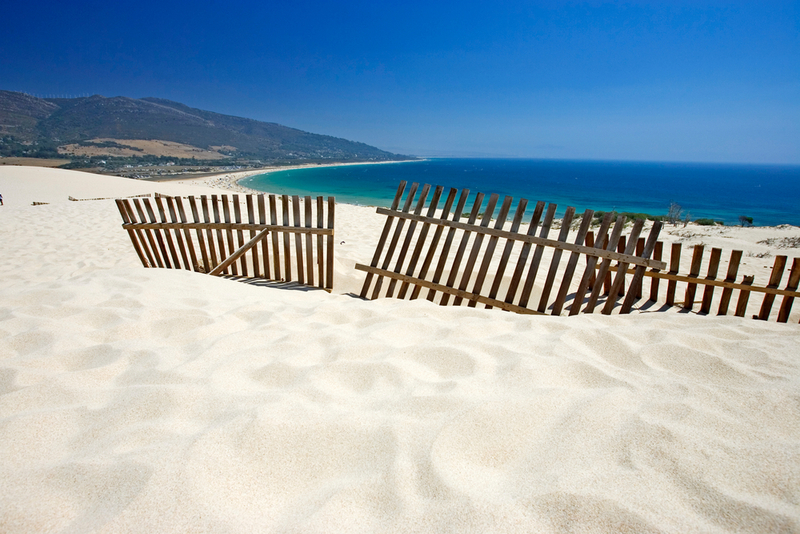 This gold sanded beach extends for 4500 metres in the North of Cadiz. Despite the absence of a paseo marítimo, it is very well equipped with bars and restaurants, in addition to lots of facilities, such as showers, toilets, rescue service, access for people with reduced mobility, hammocks and boat rental services. There are also a nautical and a diving club to provide your longed-for holidays with the best experiences. Legend has it that a whale would try to find the perfect beach where to die and searched among all the beaches in the world. Eventually, it found the beach of Costa Ballena, and it chose to make it its forever home. The beach has been carrying this name ever since. The district of Caños de Meca is full of quiet and clean beaches, whose shores are gently touched by green and blue waters. Here, you can find beautiful landscapes, from the Cabo de Trafalgar to the natural park of Acantilados de Breña, where you can go for a stroll if you don’t want to spend the whole day at the beach and before going back to your accommodation. In addition to the beach of Faro de Trafalgar, we can name some other beaches, such as the pebbled Playa de Marisucia, from which you can even spot Africa. The best way to enjoy the amazing views is to take a kayak and get to the beautiful and hidden beaches, which couldn’t be reached otherwise. A private “cala” awaits you and your family. Another place you can’t miss out on is Playa del Pirata, which you will find at the heart of the town, thus being the most equipped one. Other beaches, such as Playa de Castillejos y Playa de las Cortinas, are secluded, and therefore ideal for nudists, for those who want to enjoy spectacular sunsets and those that want to take a dip in the sweet-water waterfalls. If you recognise yourself as the one that includes all the above, this beach was made right for you. However, these white sanded beaches are not suitable for families with children, due to the risk of landslide in some parts. This 2000 mt-long beach, famous for the 1805 battle that took place in the crystal-clear blue waters in front of the coast, is renowned for its gold, fine sand and its nudist-friendly area. There are no facilities, except for cleaning service, and therefore, this beach is usually not attended by tourists. Anyhow, the sightseeing is spectacular, and the colourful sunsets are among the best of the whole coast. 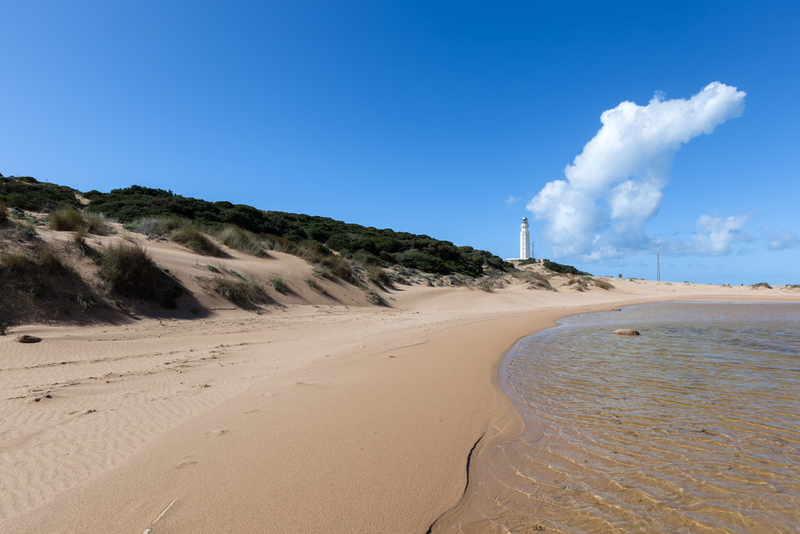 That is why the beach of Faro de Trafalgar is among the best beaches in Cadiz, which must be on the must-see list of your holidays in Barbate. This isolated beach is among the most beautiful and visited beaches in the province of Cadiz. The golden sand, blue waters and a powerful wind make it the perfect spot for the lovers of watersports, such as surfing, kitesurfing, windsurfing and scuba diving. In the west side, you can see a majestic dune, which was stabilised through a plantation of pines in the 1940s. Once on the top, you will enjoy a stunning view, where the sea, the desert dunes, and the pine forest merge one into another. The town of Sanlúcar de Barrameda should be your next holiday destination if you fancy nature, as it is located in the mouth of the river Guadalquivir, surrounded by protected natural parks, such as the National Park of Doñana, declared Reserva de la Biosfera by UNESCO. The six-km-long beach comprises five smaller beaches. 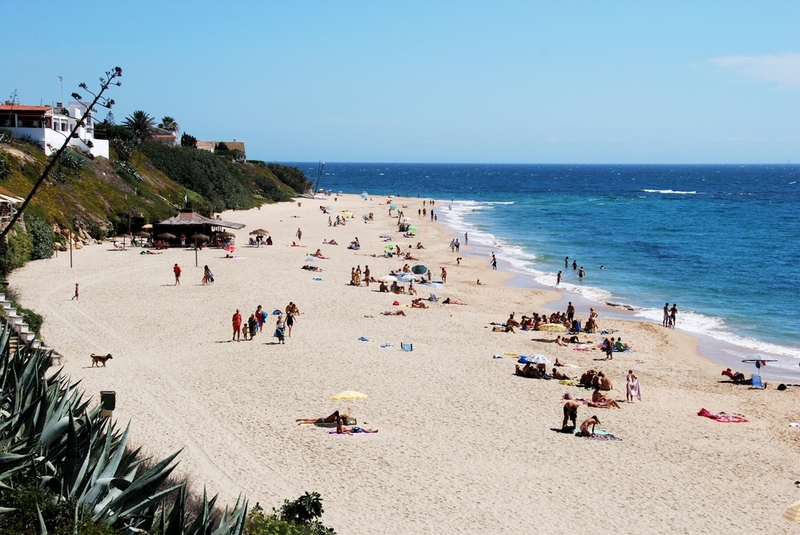 The smallest one, Playa de Bajo de Guía, is also the most renowned, thanks to the old port, the paseo marítimo and all the facilities provided. The Playa de las Piletas has natural rocks and provides the tourist with a small paseo marítimo, as well as surveillance and medical services. 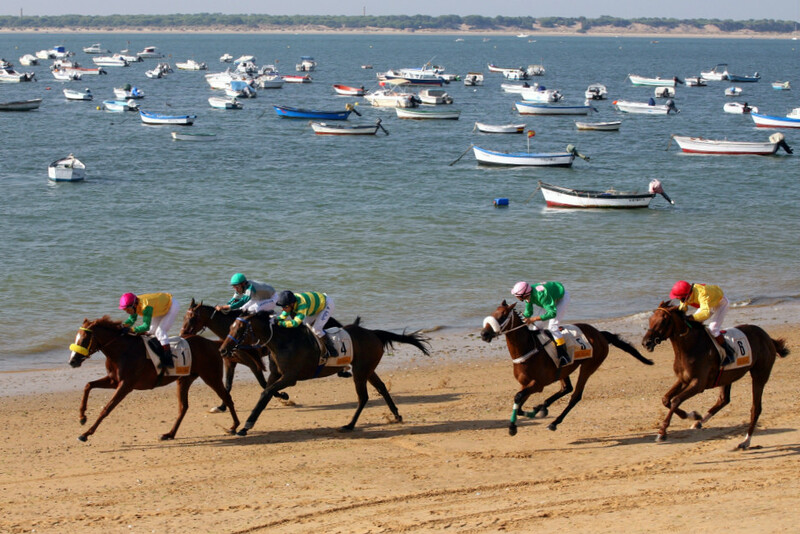 The most peculiar one is, without any doubt, the Playa de la Calzada, on whose thin golden sand spectacular horse races take place (thus the beach being known as Hipódromo de Sanlúcar). 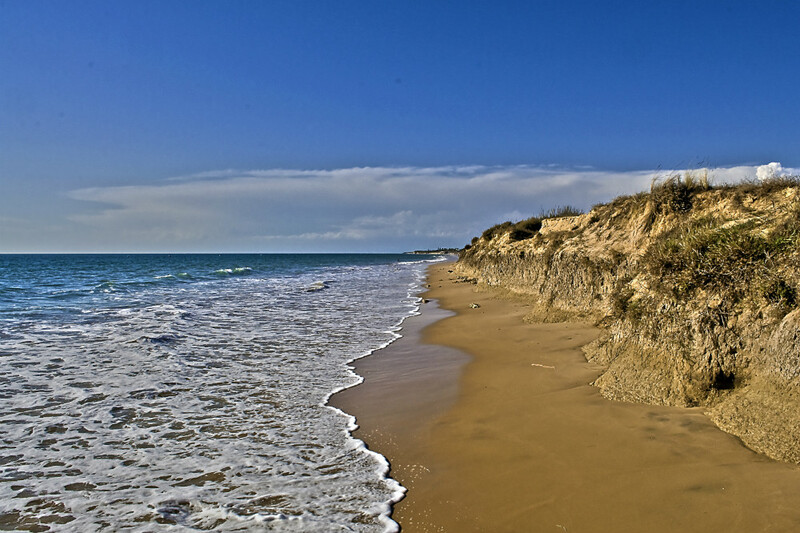 Lastly, the two beaches are the pebbled Playa de la Jara, which is located in a residential neighbourhood and is protected by dunes and an artificial breakwater, and the Playa del Coto, which is also called “beach from the other side” for finding itself in the National Park of Doñana. One of the best beaches to spend the day on, this fine gold-sanded, 1200 mt-long beach finds itself in Conil de la Frontera. Thanks to its paseo marítimo, which takes you to the not-so-deep, cold waters, alongside with plenty of restaurants and chiringuitos, the beach of la Fontanilla is famous among the locals, who love to take a dip into the waters with their family and friends. All the facilities provided make it the ideal beach for everyone to spend some relaxing days in the area. You will find this outlandish beach, famous for the typical Carnival parades that take place along its paseo marítimo, at the heart of the city of Cadiz. Natives and tourists attend this beach’s thin golden sands and enjoy the breathtaking twilights from the Castillo de Santa Catalina when the sun rays throw shadows at the boats surfing the sea. As a curiosity, the beach has reached the fame thanks to famous movies such as “007: Die another day“, “Alatriste” and “Manolete“. Wondering where you can stay while visiting the best beaches in Cadiz? You may want to get to know 10 of the best holiday homes and villas in Costa de la Luz (Cadiz), and if you want to know more, check the best holiday homes in the province of Cadiz. The best beaches in Cadiz are ready to welcome you. Come, and you won’t want to leave the Costa de la Luz ever again! 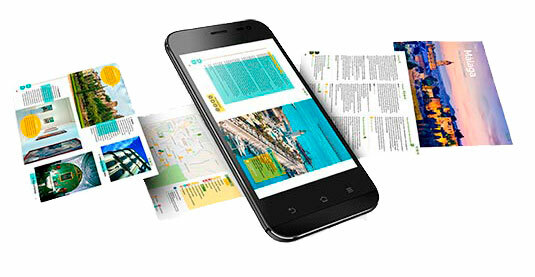 Did you like this article? 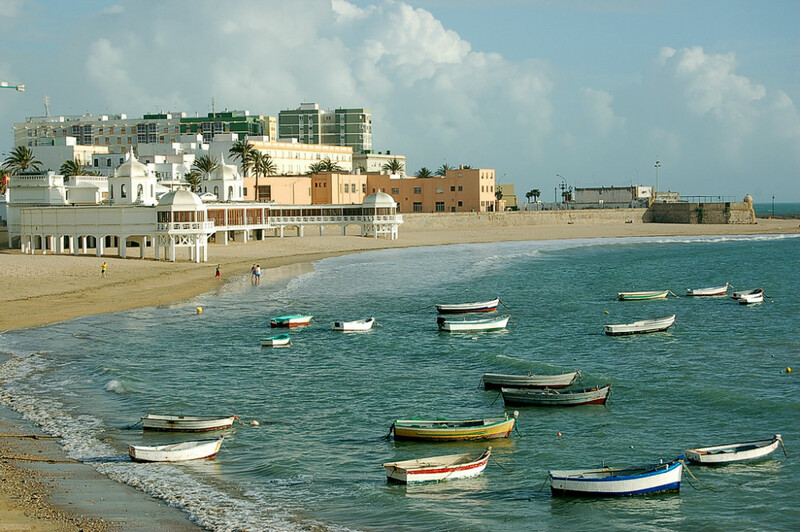 We bet you are looking forward to spending some days on one of the best beaches in Cadiz. Their charm will surprise you! Thank you Jim, we are happy you found it interesting!